Prader-Willi Syndrome (PWS) is a rare genetic disorder that occurs in approximately One out of every 15,000 births. It is the most common genetic cause of life threatening obesity, affecting appetite, low muscle tone, short stature, incomplete sexual development, cognitive disabilities and behavior problems. Most cases of PWS are attributed to a spontaneous genetic error that occurs at or near the time of conception for unknown reasons. In a very small percentage of cases (2 percent or less), a genetic mutation that does not affect the parent is passed on to the child, and in these families more than one child may be affected. A PWS-like disorder can also be acquired after birth if the hypothalamic portion of the brain is damaged through injury or surgery. All families with a child diagnosed with PWS should see a geneticist for genetic counseling in order to fully understand their chances of having another child with PWS. Suspicion of the diagnosis is first assessed clinically, then confirmed by specialized genetic testing on a blood sample. Formal diagnostic criteria for the clinical recognition of PWS have been published (Holm et al, 1993), as have laboratory testing guidelines for PWS (ASHG, 1996). Early diagnosis of Prader-Willi syndrome gives parents time to learn about and prepare for the challenges that lie ahead and to establish family routines that will support their child’s diet and behavior needs from the start. Knowing the cause of their child’s developmental delays can facilitate a family’s access to important early intervention services and may help program staff identify areas of specific need or risk. Additionally, a diagnosis of PWS opens the doors to a network of information and support from professionals and other families who are dealing with the syndrome. What causes apppetite and obesity problems in PWS? Does the overeating associated with PWS begin at birth? No. In fact, newborns with PWS often cannot get enough nourishment because low muscle tone impairs their sucking ability. Many require special feeding techniques or tube feeding for several months after birth, until muscle control improves. Sometime in the following years, usually before school age, children with PWS develop an intense interest in food and can quickly gain excess weight if calories are not restricted. Unfortunately, no appetite suppressant has worked consistently for people with PWS, but there are currently some promising drug studies. Most require an extremely low-calorie diet all their lives and must have their environment designed so that they have very limited access to food. For example, many families have to lock the kitchen or the cabinets and refrigerator. As adults, most affected individuals can control their weight best in a supportive living home designed specifically for people with PWS, where food access can be restricted without interfering with the rights of those who don’t need such restriction. What kind of behaviors are common with PWS? In addition to their involuntary focus on food, people with PWS tend to have obsessive/compulsive behaviors that are not related to food, such as repetitive thoughts and verbalizations, collecting and hoarding of possessions, picking at skin irritations, and a strong need for routine and predictability. Frustration or changes in plans can easily set off a loss of emotional control in someone with PWS, ranging from tears to temper tantrums to physical aggression. While psychotropic medications can help some individuals, the essential strategies for minimizing difficult behaviors in PWS are careful structuring of the person’s environment and consistent use of positive behavior management and support. What does the future hold for people PWS? With help, people with PWS can expect to accomplish many of the things their “normal” peers do—complete school, achieve in their outside areas of interest, be successfully employed, even move away from their family home. They do, however, need a significant amount of support from their families, school, work and reisdential service providers to both achieve these goals and avoid obesity and other serious health issues associated with PWS. Even those with IQ's in the normal range need lifelong diet supervision and protection from food availability. Although in the past many people with PWS died in adolescence or young adulthood, prevention of obesity can enable those with the syndrome to live a normal lifespan. New medications, including psychotropic drugs and synthetic growth hormone, are already improving the quality of life for some people with PWS. Ongoing research offers the hope of new discoveries that will enable people affected by this unusual condition to live more independent lives. 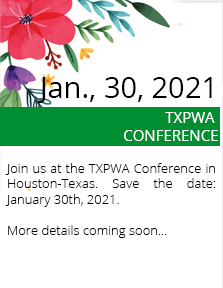 Please note that the information found on any txpwa.org web page is not intended to be, nor is it, medical advice on the management or care of a person with Prader-Willi syndrome. Any opinions expressed are those of parents alone, and may not represent the opinions of TXPWA. These web pages are intended to provide information only - not to diagnose or advocate particular treatment options. Any decision about treatment options (including, but not limited to, medical, nutritional, therapy, or psychiatric options) should be made in consultation with your own medical team.